The primary educational goal of our program is to assist in training excellent urologists who can successfully practice quality medicine in both the inpatient and outpatient setting, develop skills as an educator, and participate in research. The educational goals were developed and are regularly updated by broad representation of faculty and residents in order to clearly define the expectations of residents on specific rotations. Our residents gradually increase their responsibility in regard to patient care and teaching responsibilities. 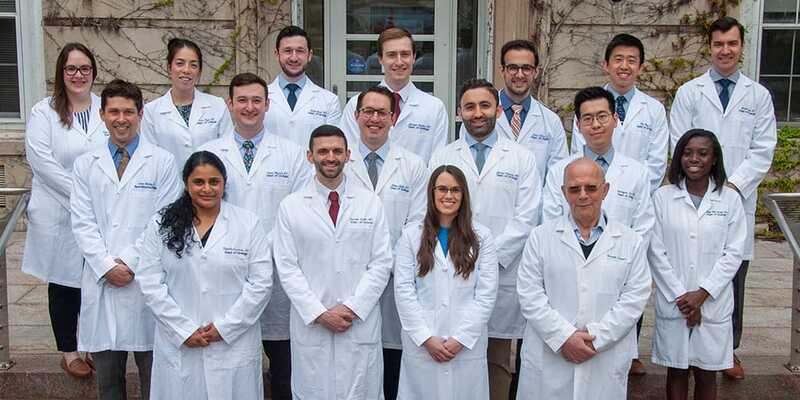 The Urology department education includes, but is not limited to, monthly journal club, weekly urology grand rounds, bi-weekly urology/radiology case conferences, research conferences, and weekly Campbell’s club meetings. It is our expectation that our residents will continually exhibit intellectual curiosity and that they will bring that style of practice to their patient care. The defined educational goals of the Urology Residency Training Program are intended to clarify the learning objectives for all inpatient and outpatient rotations. Our program requirements are based on the Accreditation Council for Graduate Medical Education (ACGME) standards for categorical training in Urology. Last Modified: March 22, 2018. Contact Susan Schulze with questions about the content of this page.